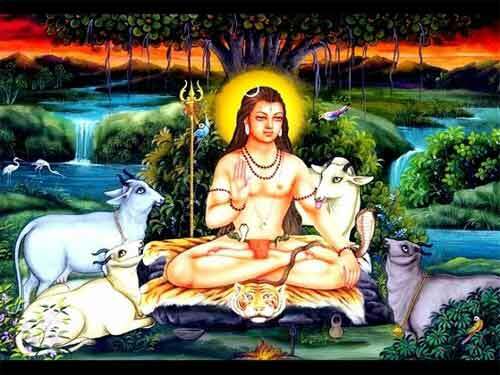 Gorakhnath Jayanti is believed to be the day when Guru Gorakhnath, the most important Guru of the Nath Sampradaya appeared on earth. Gorakhnath Jayanti 2019 date is May 18. It is observed on the Purnima day in Vaishakh month as per traditional Hindu calendar followed in North India. Please note that this birth anniversary is not followed by many sects associated with the Guru. Hindu God Shiva as Adinath is believed to have taught the secrets of the Supreme Truth to Matsyendranath and He taught it to Gorakshanath. Gorakshanath is the most important teacher of the Nath Sampradaya tradition and he is credited with many important books which are the basis of the tradition. Gorakhnath Temple in Gorakhpur in Uttar Pradesh is the most important shrine associated with the Guru. It is believed that in 11th Century BC Guru Gorakhnath visited the place and performed puja and sat in contemplation for a long period The city itself derived its name from Guru Gorakhnath. It must be noted here that the followers of Gorakhnath does not believe in the concept of Jayanti. They believe that He existed even before creation. Gorakhnath is not a mere human teacher. He is beyond the laws of time and appears on earth in different ages. He has no origin and end. There is a story among the sect in which it is stated that when the process of creation was to take place, Vishnu could only find water all around. There was no land. So he rushed to Patala to consult Gorakhnath. It is said that Gorakhnath gave him a handful of ashes from his eternal fire and asked him to sprinkle it on the waters and then he would be able to find land and creation would begin. Note - Gorakhnath Jayanti is also observed on 13th day of waxing phase of moon in Kartik Month and also on the 13th day of waxing phase of moon in Magh month by some Hindu communities.